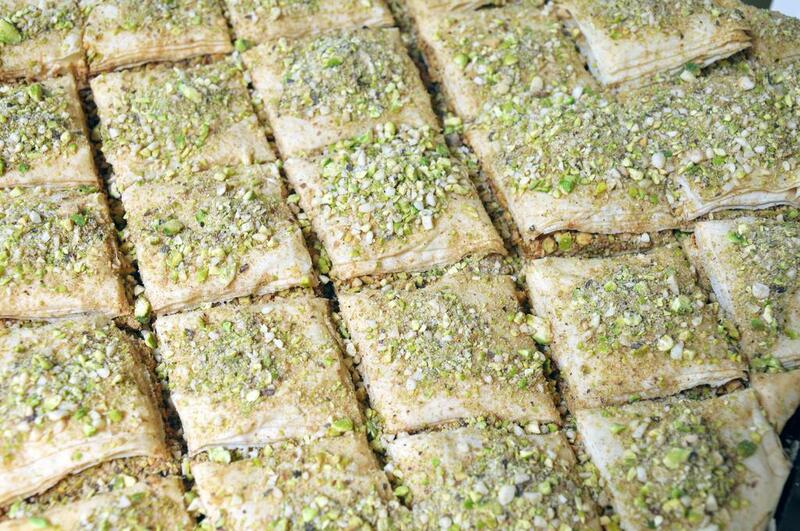 Baklava has absolutely nothing to do with Labor Day or the start of football season - other than one tray feeds a crowd of sweet tooths. 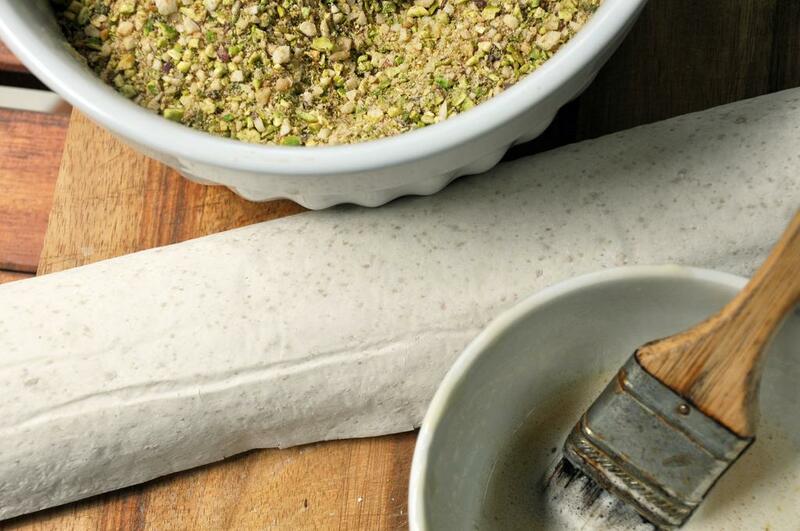 So perhaps you should consider whipping up a batch for a unique end to the barbecue this weekend. You may recall walnuts are most often used, but I read that in some towns in Turkey pistachios and almonds are common. That was exciting to me because then I could make it local (almond and pistachio trees abound in NorCal) - along with honey from Oakland. Plan ahead though - after it's cooked you need to soak it in the honey syrup for at least three hours. 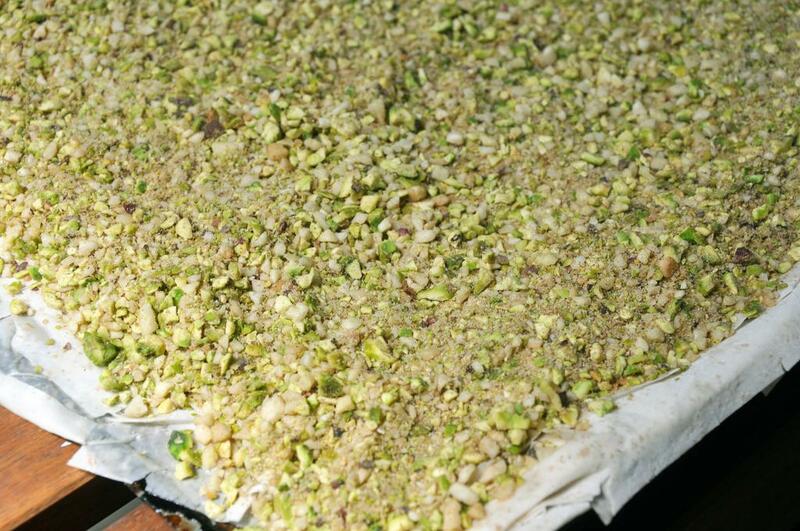 Puree pistachios and almonds together until very finely chopped. 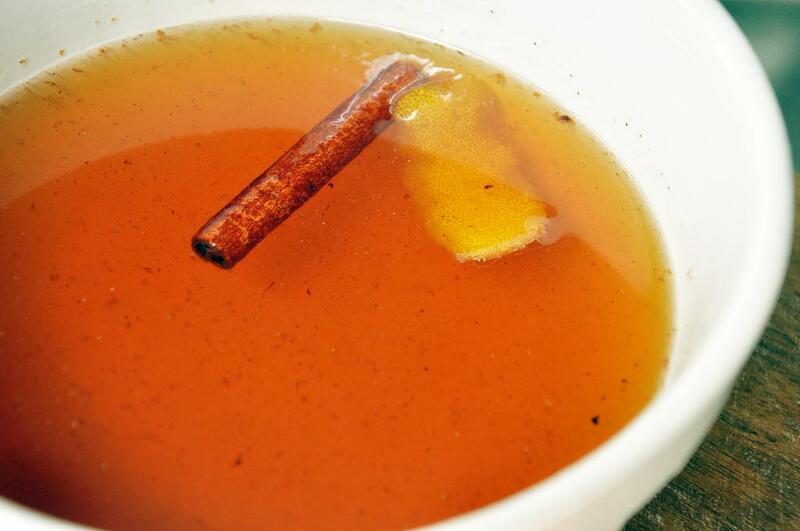 Mix together with 1/4 cup sugar, cinnamon and cloves. Set aside. Meanwhile spray a large casserole dish or cookie sheet with cooking spray. 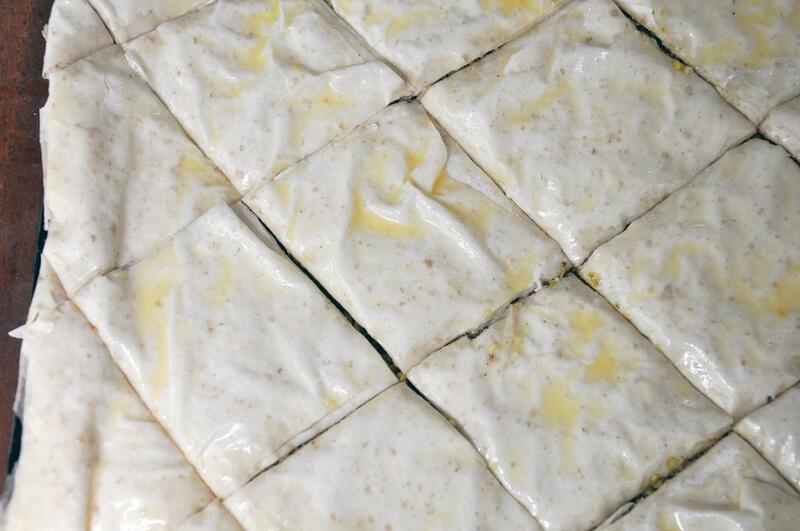 Lay 2 sheets of phyllo gently on sheet. Brush with butter. Repeat four times until there are 8 sheets down - the top layer brushed with butter. Spread 3 cups of nut mixture over phyllo (you should have about 1 cup left). Repeat step #3 until all sheets are on the tray - every two brushed with butter, including the top sheet. Cut phyllo with a sharp knife diagonally in both directions. Bake for 45 minutes. Check every 15 minutes or so, and if it looks like it's drying out too much spray the top with cooking spray. Remove and add remaining cup of nuts, then bake 5 minutes more. Remove from oven and let cool. Meanwhile in a medium pot over medium heat, add remaining 1 cup of sugar, honey, 2 cups of water, cloves, cinnamon stick, lemon juice and lemon zest. Bring to a boil, then turn off heat and let steep for 15 minutes. Remove cinnamon stick and lemon zest. 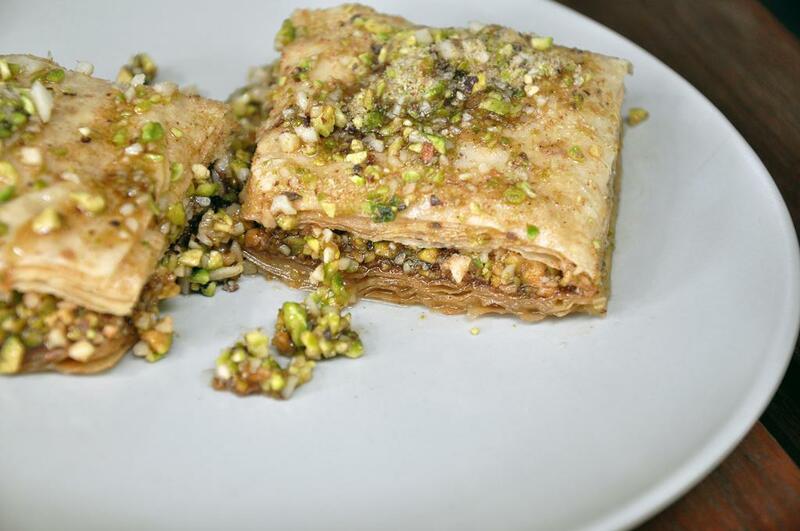 Drizzle honey syrup over the baklava and let sit at least 3 hours or overnight.